This month we take a look at vehicles tasked with the duty of maintaining the right-of-way at various operators around Japan. 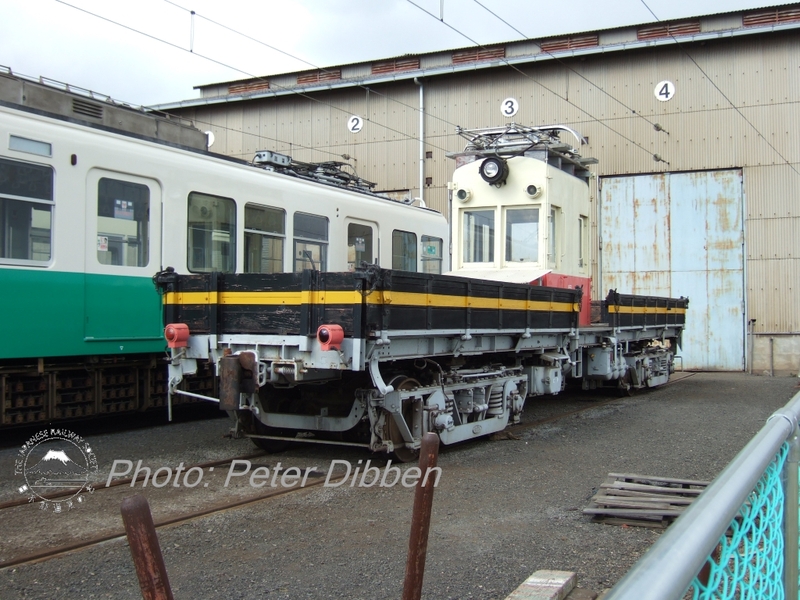 Takamatsu Kotohira Railway: Car DeKa 1 at Busshozen depot on 16th March 2011. 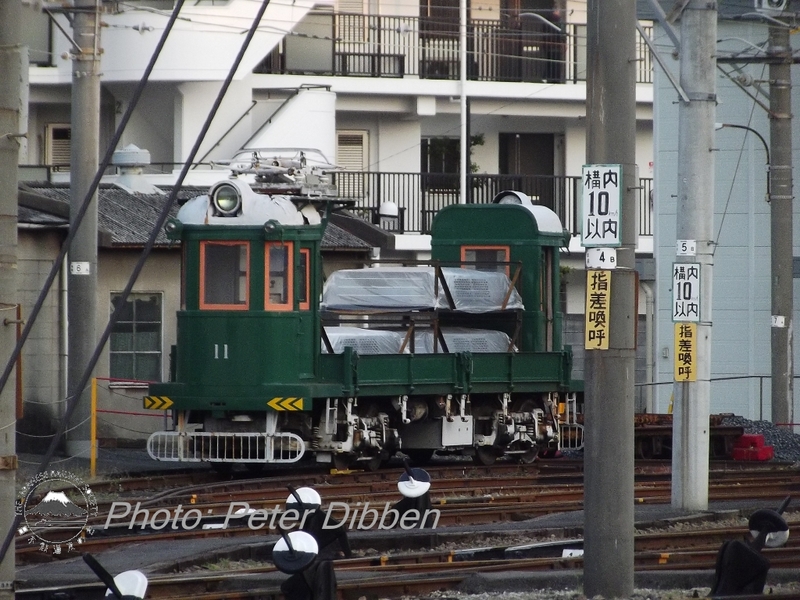 This car was built in 1957, is 13.5 metres long and can carry 16 tonnes..
Hankai Denki Kido: DeTo 11At Abikomachi depot on 8th April 2015. Dating from 1954 it is still in good condition despite being taken out of service in 2000! 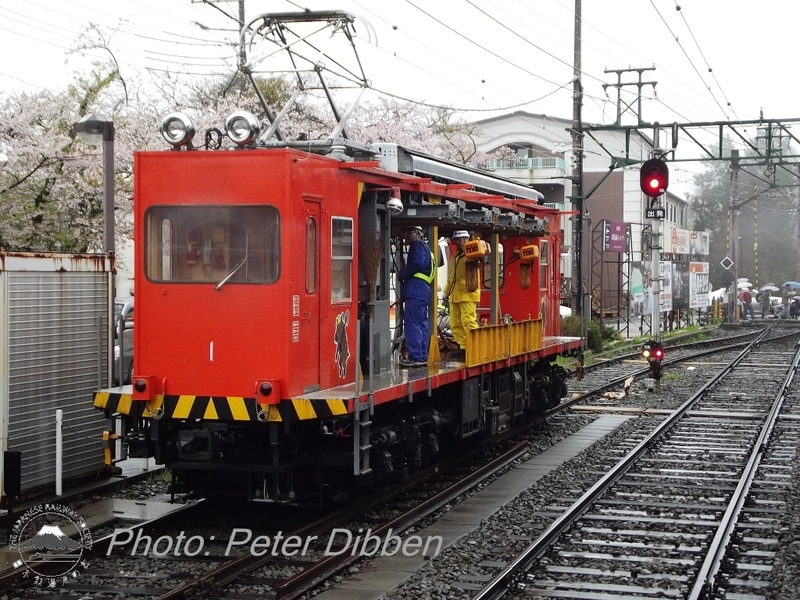 Hakone Tozan: MoNi 1 at Gora on 14th April 2015. Built in 1975, it can carry 10 tonnes and is 14.66 metres long. .